A beep in time is peace of mind! Like all good mothers, I worry about my babies – my cats can get into the most unusual hiding places. They have an uncanny way of knowing when I’m leaving and it can be virtually impossible to find them. There’s nothing worse than thinking that your cat might be trapped in a closet, left outside in the rain, or worse yet, missing! 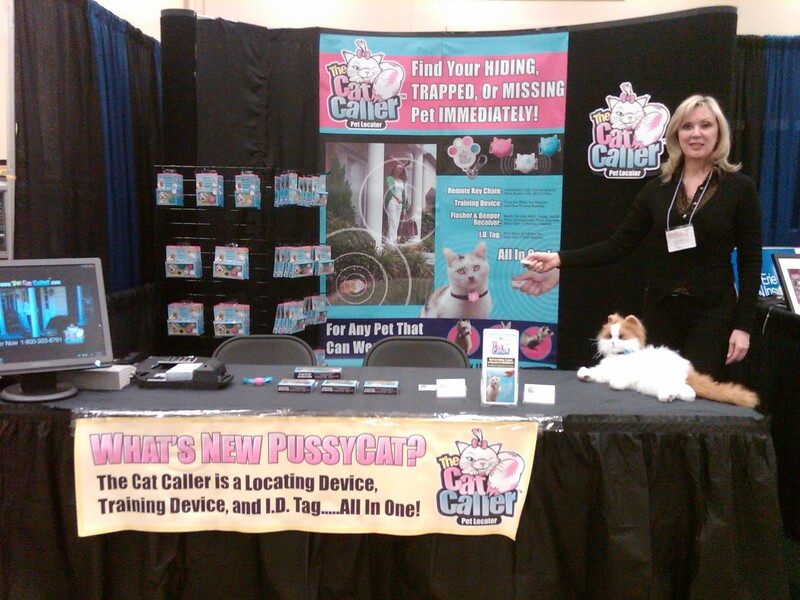 Introducing The Cat Caller – a remote locator I invented so that you’ll never leave home without knowing that your kitty is safe. It took several years of working with an engineer to figure out how to make a receiver that would attach to any collar, be bright enough to see, loud enough to hear and have a range just far enough to be able to do both. And of course, it couldn’t be a nuisance to the pet. I made it scratch-proof, durable and exceptionally cute in pink or blue – for a boy or girl, or white to go with either. Once I began using The Cat Caller, I found out that if I offered a treat to my pets when I beep them, they would come running to me! We all know about Pavlov’s dogs, but what a shock it is to have a cat come when you call! The Cat Caller is something that every household needs and will love for peace of mind and safety for man’s – and woman’s – best friend. I love it, and I’m pretty sure that you will too! "Theres nothing like the reassuring feeling of knowing that your pet is safe"